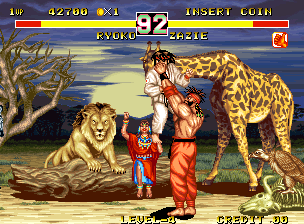 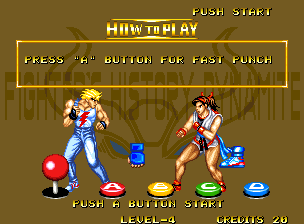 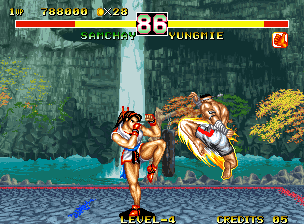 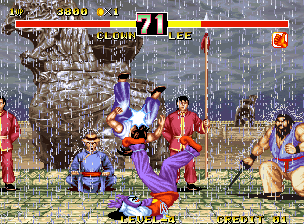 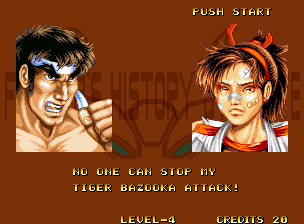 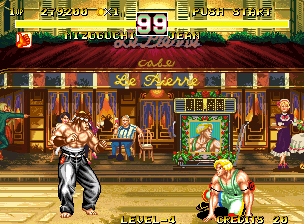 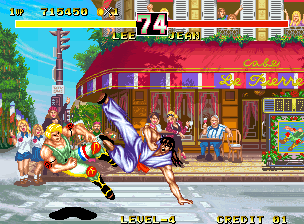 REVIEW: Fighter's History was probably the most blatant rip-off of Street Fighter 2 in history (hence the title). 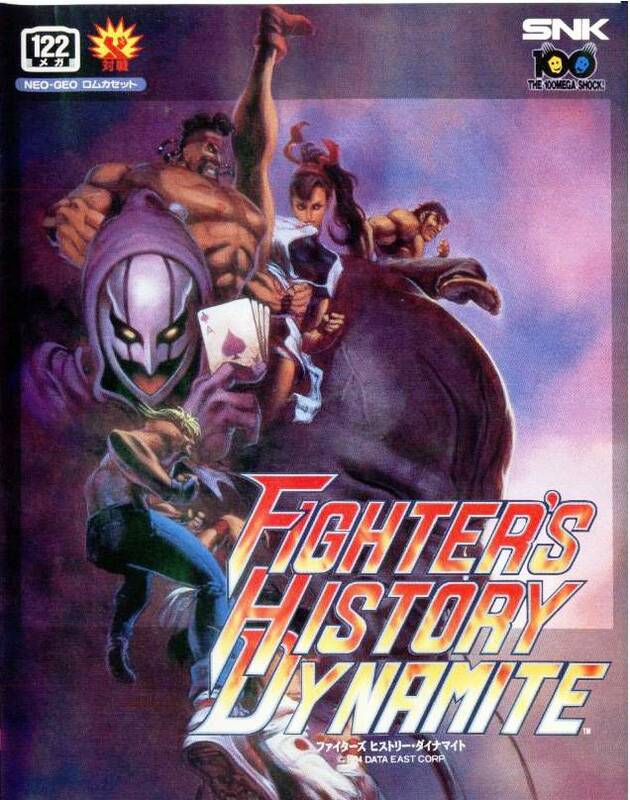 Lo and behold, Data East had the audacity to make a sequel a year after the release of the original, even after Capcom tried to sue them for ripping off SF2. 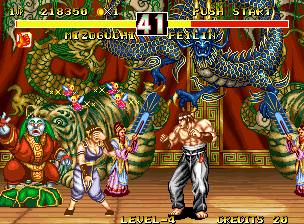 If you're a Street Fighter 2 knock-off and you know it, hold up your fist! 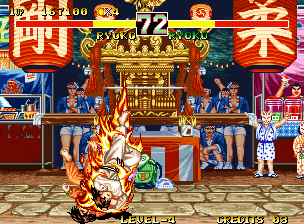 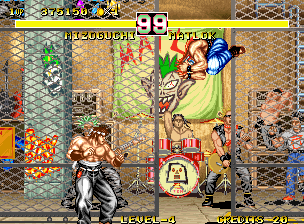 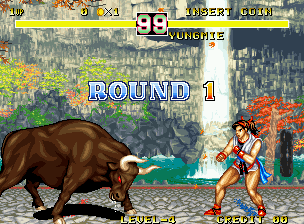 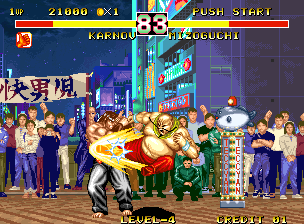 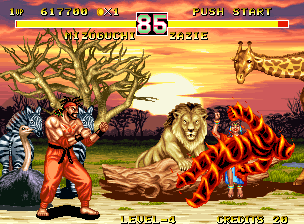 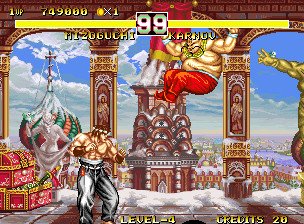 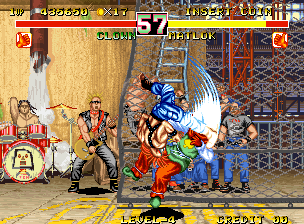 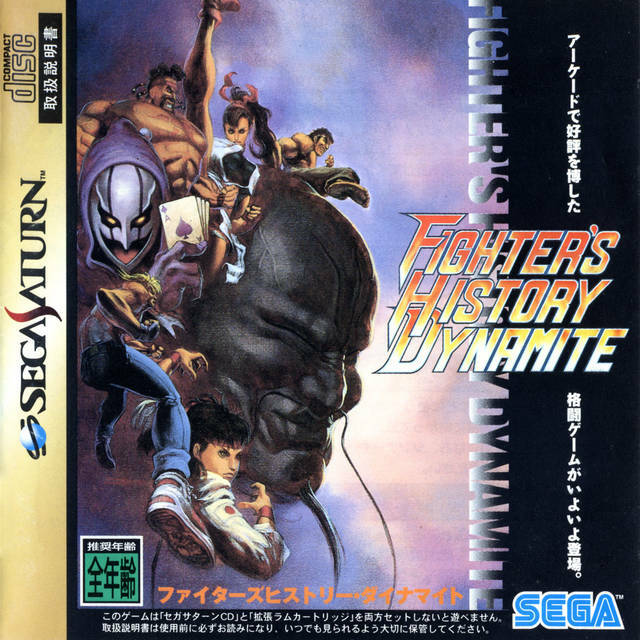 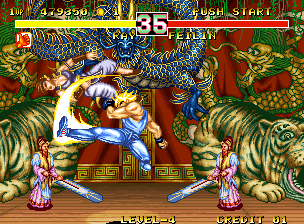 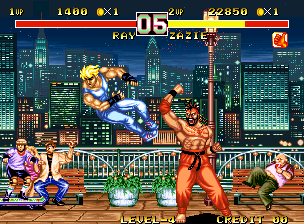 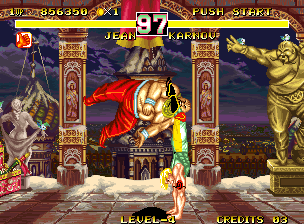 Fighter's History Dynamite (also known as Karnov's Revenge) is at least an improvement over the original. 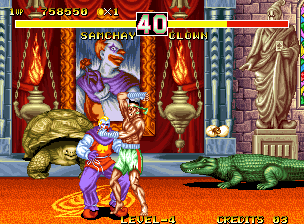 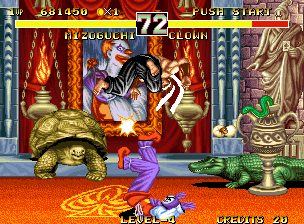 The sequel adds playable bosses (Clown and Karnov) and two new characters: Zazie & Yungmie. 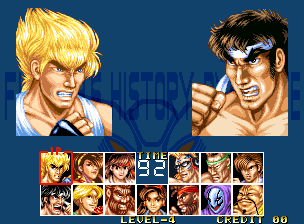 Besides a better selection of playable characters and some new backgrounds, the game itself really hasn't changed very much in terms of looks or gameplay. 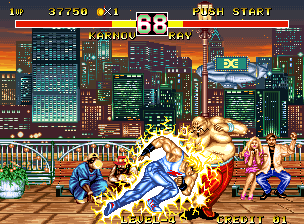 Karnov... the first boss from Bad Dudes. 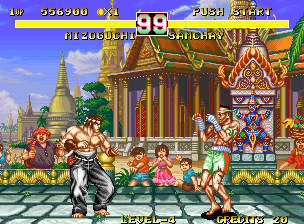 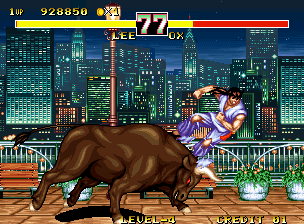 If you could somehow get past the fact that Fighters History was a shameless SF2 knock-off, and somehow managed to enjoy playing it, you must've been forced to... because there were far superior fighting games to play in 1994. 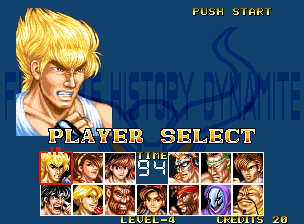 For starters: How about X-Men: Children of the Atom, Samurai Shodown 2, Darkstalkers, Killer Instinct, Tekken or maybe even Super Street Fighter 2: Turbo?!? 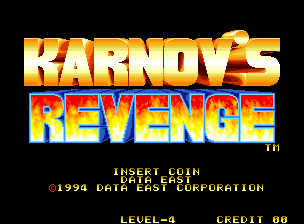 You can't make a case that Karnov's Revenge even comes close to competing with any of those games.